At the Necker Hospital in Paris, Dr. René Laennec stood at the bedside of a female patient who complained of heart trouble. To better understand this woman's ailment, the doctor had limited options. This was 1816, and the standard procedure involved putting one's ear against a patient's chest to hear the heart and lungs. But instead of placing his ear on her chest, he rolled a piece of paper into a tube, and put it between his ear and the woman's heart. 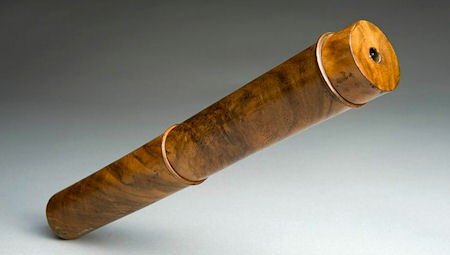 Laennec found that the telescope-shaped instrument amplified the sound of the beating heart and respiring lungs. The stethoscope was born.